When it comes to closet and urinal toilet repair, Equiparts has any need for repair parts covered. Shop our selection of closet and urinal toilet seals, bolts and nuts, flanges, flappers, tank balls, ballcocks, fill valves, bowl gaskets and tank levers. 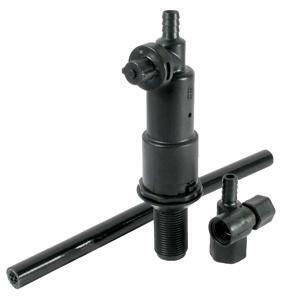 Find all of the repair parts needed to service your water closets with ease on Equiparts. Use our high-quality photos and product descriptions to complete your orders quickly and accurately. Equiparts has a variety of commercial closet/toilet seats, including hinged elongated toilet seats with open fronts, covered closet seats, toddler seats/built-in potty seats, and antimicrobial-treated toilet seats. Equiparts has the best selection of commercial grade toilet seats from brands like Centoco, Church & Big John. 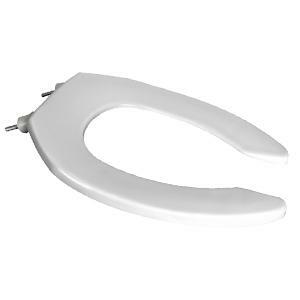 Browse our selection of toilet seats and find the seat that best suits your facility needs, as well as the repair parts and installation tools needed for your toilet repair all in one place on Equiparts.net. Equiparts supplies Flushmate repair parts, tools, and accessories for Flushmate Pressure Assist systems. Our inventory includes Flushmate wrenches, upper/lower supply, flush valve cartridges, pressure assist tanks, and more. Shop Equiparts for all of your urinal repair parts. 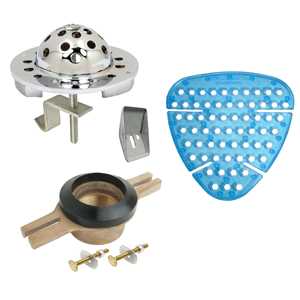 We carry a variety of urinal seals and gaskets, urinal spuds and washers, urinal plugs, urinal screens/strainers, many urinal drain parts and installation accessories like urinal hangers and urinal flanges. Find the solution for your urinal repair problems quickly and easily on Equiparts by using our high-quality product photos and detailed product descriptions. We carry urinal repair parts that fit urinals by American Standard, Sloan, Caroma, Zurn, and more urinal manufacturers. Many of our urinal repair parts are universal and fit many different styles and models of urinals. If you need help figuring out which urinal repair part you need to fix your urinal, give one of the product experts at Equiparts a call. Our sales team is trained by industry reps from our manufacturers like American Standard and Sloan, so we know the products we sell and can provide you with strong customer service. Call to order: 800-442-6622 Also, know that this is a place to not only get repair parts for your urinal but also a source for urinal fixtures and the repair parts needed to install your urinal replacement parts as well. Equiparts is a supplier of repair parts for commercial/public closets/toilets and urinals. Shop our selection of closet repair necessities like bolts, nuts, seals, flanges, flappers, levers, and gaskets. Select from Centoco, Church & Big John closet seats/toilet seats available in an assortment of colors and styles. Get repair parts for urinals like seals, gaskets, plugs, washers, spuds, and screens or strainers. 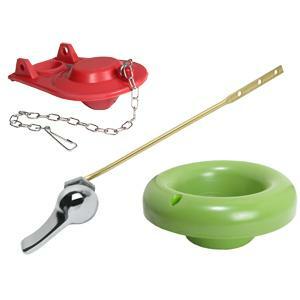 We also carry Flushmate repair parts and accessories.